S&S Cafeteria, an Embry Village mainstay since 1973, has announced it will close after dinner service on Sunday, July 10th. The restaurant is not closing due to lack of business, on the contrary, the restaurant is doing quite well. Sadly the restaurant has fallen victim to the expansion plans of neighboring Kroger. S&S had most recently been on a month-to-month lease with their most recent lease due to expire today, June 30th. Kroger plans to build what is calls a "Kroger Marketplace" store in place of its current store as well as the S&S and adjacent recently shuttered motel. The new Marketplace store, larger than even the recently enlarged Decatur and Brookhaven stores and even the gargantuan Glenwood Marketplace store that opened yesterday in Grant Park, will measure about 114,000 square feet. The store will include such additional departments as "baby world," apparel, a Fred Meyer jewelry store, Starbucks, The Little Clinic, and expanded selections of existing departments, among other things. The store is also slated to include a Kroger fuel center. My friend is not alone in his dedication and preference for the S&S as it's not uncommon for patrons to drive 20+ miles to dine at the cafeteria. 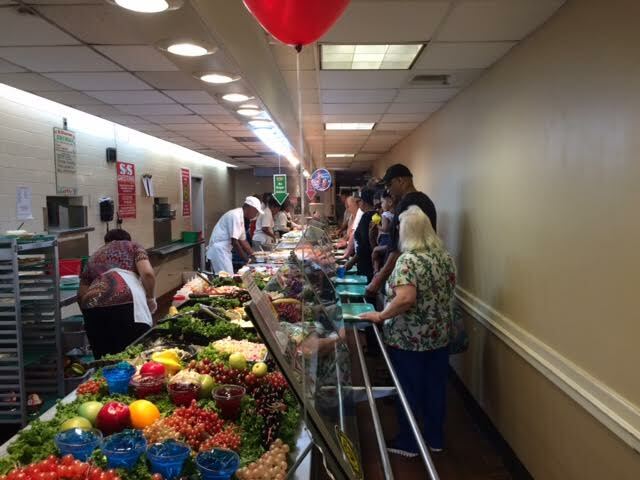 Some patrons enjoy as many as 13 meals a week at the S&S! If you have never been to the S&S before I definitely recommend you make an effort to have at least one meal there before it closes. 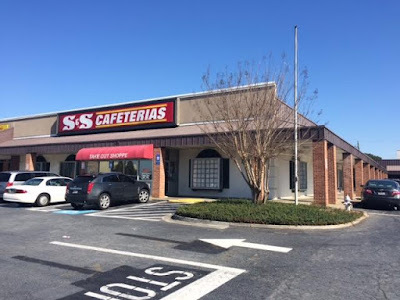 Metro Atlanta's only other S&S is located in Campbellton Plaza on Campbellton Road in southwest Atlanta (about 22 miles from the Embry Village restaurant). 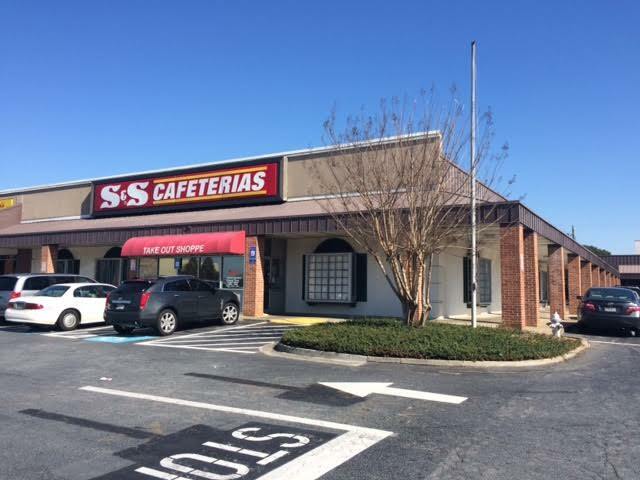 S&S also operates a cafeteria in Augusta and two in Macon. 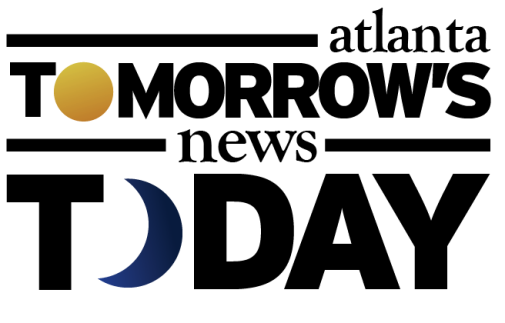 In addition, there are also locations in Greenville and Charleston, South Carolina and Knoxville, Tennessee. While the S&S is closing and there are reportedly no plans to reopen it elsewhere nearby, I have heard talk of longtime patrons opening a very similar establishment in an effort to recreate the S&S.  A lease has not been executed on the new space yet but is expected to be finalized in the coming days at which point the entrepreneurs have promised me that ToNeTo Atlanta readers will be the first to know. While the new enterprise will be unable to use the S&S name, the name I've heard will be used should resonate with locals. I spoke to J.A. Smith IV, President of Cafeteria Operations for Macon based Smith and Sons Foods, the Cafeteria's parent company in February. Mr. Smith lamented that "we don't have the money to take on Kroger." Smith was complimentary of the Embry Hills community that has supported his family's restaurant since 1973. "We have lots of loyal customers and we love every one of them." While Mr. Smith's busy work schedule prevented me from reaching him again more recently, earlier assertions that the S&S would remain in place until late 2016 / early 2017 proved untrue. "We are gonna ride it to the last minute...'till they have a bulldozer at our door," Smith said then of the closure timeline. While a few spaces within Embry Village were reportedly offered to Smith as relocation options, they all came at significantly higher rents and in far smaller spaces than would be needed to operate the current cafeteria model. The current S&S is 9,325 square feet. This past Tuesday's Board of Commissioners meeting voted on an important change that paves the way for the Kroger development. The commission unanimously (6-0-0) voted to "permit fuel pumps at large-scale retailers within 1,000 feet of an interstate highway interchange without the need for a Special Land Use Permit." 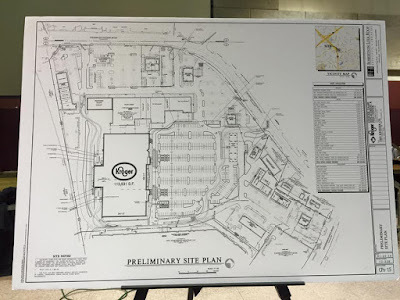 By the same margin, commissioners approved a rezoning request to allow redevelopment of the Embry Hills Kroger, which benefits from the SLUP change. "The fuel center is a critical component of the Embry Village expansion. 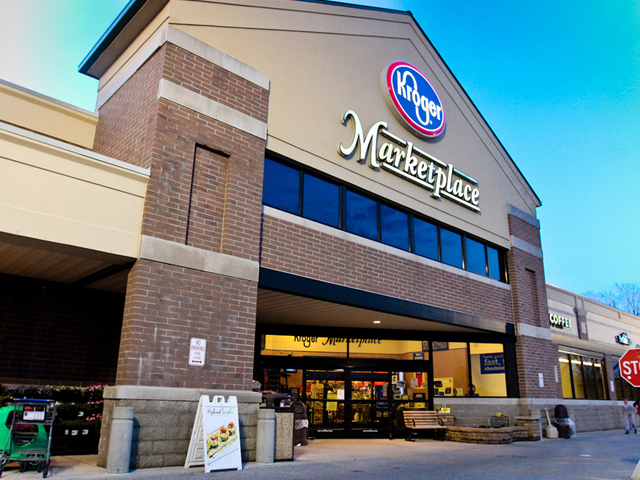 Kroger actively seeks opportunities to provide shoppers with convenient locations and amenities to create a great shopping experience. Kroger fuel centers are a great way to deliver additional value to our customers, and we would like to provide this added value to the residents in this area. 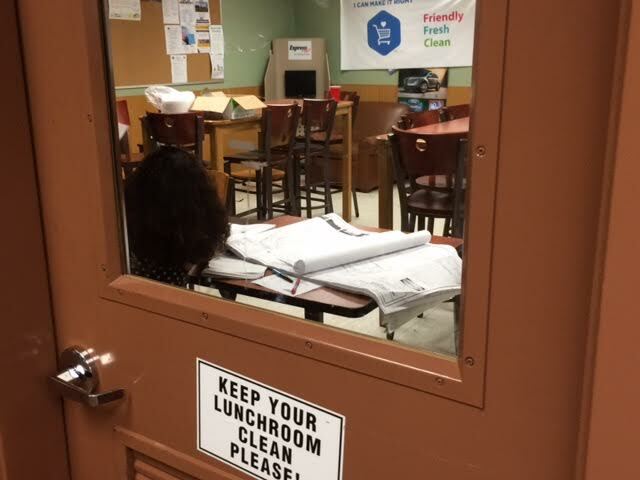 If Kroger has all necessary permits this summer, construction would commence later this fall." Given this week's vote, it would seem reasonable for the company to begin work later this fall. Sources indicate that if this timeline proves accurate, the new store should open in late 2017 or early 2018. Will you miss the S&S? If you are an S&S fan, what do you like most about it? Does the idea of a one stop shop Kroger Marketplace excite you? 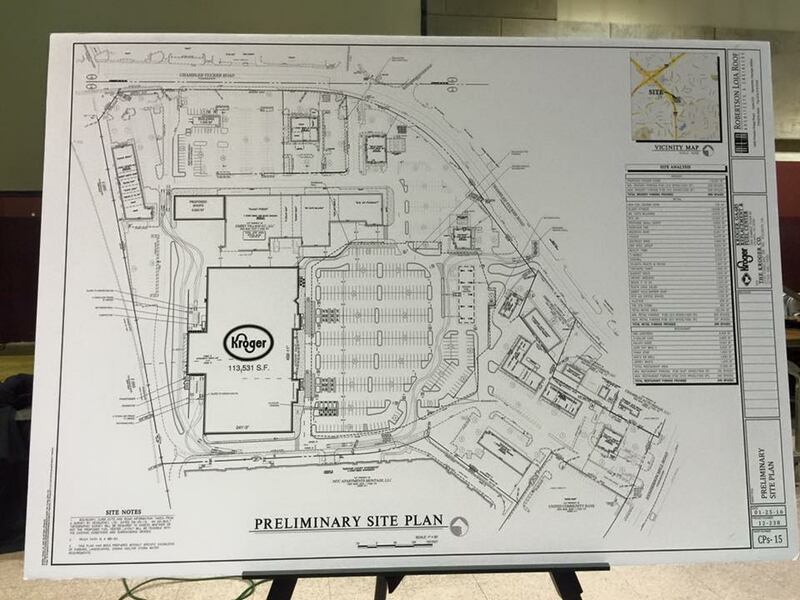 No, the idea of a bigger Kroger does not excite me. I guess I'll move my business to Publix. I like a grocery store that has a good selection of items, yet isn't gigantic to walk through. As a resident of the area for 23 years, I dread the thought of increased traffic. Never went to S&S but I know they have loyal fans. It's a shame it's going away. Not excited about a big Kroger. In the end I think it will give Atlanta less places to shop. I don't want Kroger taking over the market. Do you think the Embry Hills area can support this big of a Kroger? Sad news. We've lost so many of these local restaurants, Bobby and June's, Carver's, now S&S. Matthews is one of the few good remaining meat and threes. Sad day indeed. Lost our neighborhood freestanding Piccadilly in Smyrna in yrs. past and struggling area suffered. That type stereotypical American meal is getting increasingly rarer. More recent development of third largest Kroger Market Place then in the company was huge imprivement along with a charter school in a mall across South Cobb Drive. S& S delivered quality dining at Lenox Square for years but changing demographics now threatens their existence. Globalization has brought shrinking of typical American dining, and a different ethnic mix to our fast declining middle class. Places like S&S do provide good food, fast/friendly service and a decent value. However, for many eating out is about more than just the food, but also the people you share those times with. I remember eating there with our extend family as a child. I think about driving home from visiting my Father in ICU at Northside and stopping in for a little comfort food. Also, I fondly remember taking Mom there as her Alzheimer’s Diseases progressed for a familiar meal. No, Kroger is doing nothing wrong by expanding and I guess you can call it progress, but it’s a shame that we can’t save a little more of the past. When I was a kid S&S was always my grandparents choice and we hated it. I think if I gave it another try now I would probably better appreciate it. If memory serves: once this cafeteria closes, the closest S & S Cafeteria is the one in Macon. Long drive for after church, eh? The squash souffle is a pretty vile salt lick, but the sweet potatoes, the sweet potato ball, the meats, cornbread, the desserts, and much of the rest are pretty solid. The staff is very polite and it's sad that they'll all be out of work in 10 days. It's a pretty relaxing place to eat, they have plenty of tables of different sizes, and it's a shame that they're not considering relocating nearby (eg. should be space at the Big Lots shopping center). I am so sorry about this cafeteria closing. The only other old fashioned cafeterias I can think of in the area is Piccadilly at Northlake. There is a nice Publix and older but nice Kroger at Northlake ... why is a mega Kroger needed so close that area? This certainly does not endear Kroger to me. What makes this place "historic"? I worked at this S&S when I was in high school in the late 70's. We got one meal per shift, and I had the same thing every time: chicken parmesan, green beans, and pink lemonade. I loved that job! So sorry to see it go. As I note the article, the next closest S&S is about 22 miles away on Campbellton Road in southwest Atlanta. Bring on the big Kroger. When I moved to Embry Hills, Kroger was a sad little store where the Big Lots is now and then they moved to the new location which was a vast improvement. I welcome an expanded store with a deeper selection of food and sundries. And having a fuel center nearby is a huge bonus. The S&S closure is a shame, but they were given options to stay in the center and passed. And I'm sure, as another commenter mentioned, there is very likely space at the Big Lots shopping center they could easily rent if they so chose. So it's not like they were booted out, they made a decision not to relocate. S&S frequently scored low on health inspections. When it was good, it was good. Many things we grew up with and were used to are now fading fast. I am going to predict the Kroger unit at Northlake will soon shutter, be redone, or move. I actually worked in that store over 30 years ago. Wonder if this will effect the Northlake Kroger? Northlake Kroger isn't very nice but does a decent business. Hope it doesn't close though. Regardless of how big or nice a Kroger is I still won't buy any dairy or meat products. Have gotten too many spoiled products there. delicious and at a great price! where, you tell me where am I going to get Cracklin bread like that? German chocolate pie? squash casserole and eggplant casserole? I feel sad and a little sick to my stomach like I just found out my grandmother has died!!! I, too, wasn't happy with the health scores and would stay away when they dropped. I still hate it though. I had been a customer since they opened that location. It is hard to find a place that serves as many vegetables and salads as they do on a daily basis. Matthews is no where near as good as S&S (watery vegetables and blade pork chops) and Picadilly is far less clean. Gonna' miss me some eggplant casserole and baked mac and cheese. Hate to see those employees loose their long-time jobs. Really don't frequent Kroger much, mostly because of bad experiences with dairy and seafood quality. This won't help. If folks don't make this food at home anymore, they are not gonna look for it when they dine out -- which is very sad. Cannot tell you the number of hipster joints I've been in the past decade in the South whose "new" Southern staples are at best cafeteria quality at twice the price. The vegetable plate used to be a go-to lunch at cafeterias across the Southeast. The only place that I know of that has updated it and does a good job is West Cobb Diner, which does a 4 veggie plate for $7. We were in there this week. They said they will have a new place called Magnolia Room opening in the fall on Hugh Howell Road. "They said they will have a new place called Magnolia Room opening in the fall on Hugh Howell Road." Wasn’t there a restaurant or events center or something similar in an old restored house in the City of Stone Mountain called the Magnolia Tea Room? If the story about a new restaurant is true and the older place is still open they may want to reconsider their choice of names.